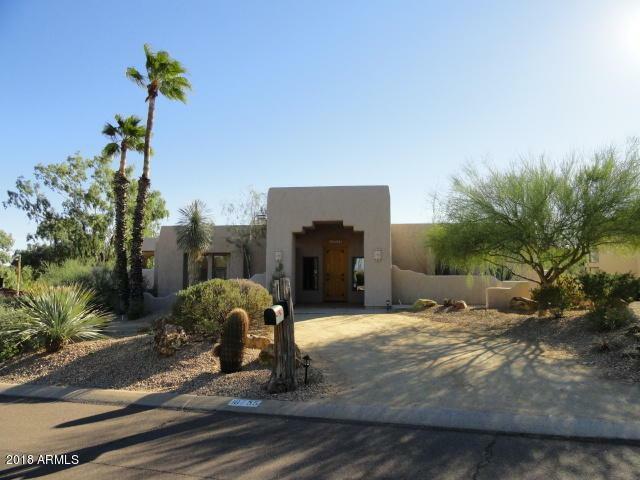 Stunning views from the golf course lot, 2 level 4 bedroom 4 bath SW style home. Tile flooring throughout, 2 oversized garages for 4 cars with direct entry from one of the garages into the house, the other garage has entry to the patio area. Downstairs has 2 bedrooms, jack&jill bath, bonus room, and a huge laundry. Upstairs is master suite, 4th bedroom and guest bath plus kitchen, dining, and family room with built-in shelves and fireplace. Kitchen has all granite counters, huge walk-in pantry, stainless appliances, and island with veggie prep sink. Freshly painted, move-in ready. Landscaping & pool service included in rent. Fourth bath is outside for pool access.